Monarch Air Group provides private air charter in Port Saint Lucie, FL. Our clients benefit from top-notch service, unrelenting dedication to safety, wide selection of aircraft, and years of experience in chartering private jets. To obtain a free quote, please use our online quoting tool provided below, or call toll free 1-877-281-3051. Monarch Air Group provides private jet charter flights in and out of Port St. Lucie, Florida, USA. Port St. Lucie a city in St. Lucie County with the total area of 76.7 square miles and the population of about 155,251 people. The most popular tourist attractions include Old Florida Airboat Tours and Guide Service, Tradition Field, River Lilly Cruises, Port St Lucie Botanical Gardens, St. Lucie River Princess, Savannas Preserve State Park, Paleo Hammock Preserve, Spruce Bluff Preserve, and much more. The nearest airports are Palm Beach International Airport (PBI / KPBI), which is situated 53 miles from the center of Port Saint Lucie. 2. COF, Patrick AFB, Cocoa, United States. 3. FPR, St Lucie County, Fort Pierce, United States. 4. 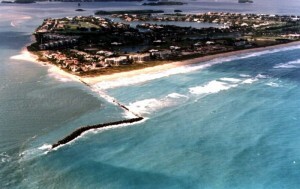 LNA, Palm Beach County Park, West Palm Beach, United States. 5. MLB, Melbourne International Airport, Melbourne, United States. 6. OBE, County, Okeechobee, United States. 7. PBI, Palm Beach International, West Palm Beach, United States. 8. PHK, Palm Beach Co Glades, Pahokee, United States. 9. SEF, Sebring Regional Airport, Sebring, Fl, United States. 10. SUA, Witham Field, Stuart, United States. 11. VRB, Municipal, Vero Beach, United States. 1. Village Hotel of Sandpiper, 4500 Southeast Pine Valley Street, Port St. Lucie. 2. Village Hotel of Sandpiper, 4500 Southeast Pine Valley Street, Port St. Lucie. 3. Village Hotel of Sandpiper, 4500 Southeast Pine Valley Street, Port St. Lucie.